The partnership announced Thursday also provides users of the estimating database, also known as UltraMate, with all the service and repair bulletins from the No. 3 U.S. automaker’s Technical Information System. 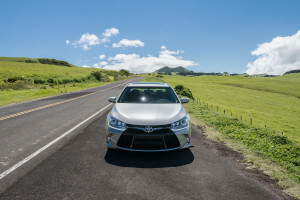 Mitchell senior director of product management Sunil Nayak said in an interview Thursday afternoon that new Mitchell DVDs containing the first batch of Toyota data were mailed that day, and updates for Mitchell’s digital-only users should be online now. The integration should reduce conflicts over what the OEM requires for a repair and also give repairers a “checks and balance” systems to ensure they’re not missing a crucial part or procedural update, which should increase productivity. It also provides a great “This is what Toyota says you need” argument for insurers and customers reluctant to pay for particular repairs. Visit www.mitchell.com/toyota for more details about the system.